The Kitzes Lab at the University of Pittsburgh (http://kitzeslab.org) is seeking a Postdoctoral Associate to join our lab. Our lab studies species diversity and distributions in human-altered landscapes, primarily using methods drawn from spatial macroecology. Our goals are both to answer fundamental questions about how species organize themselves in space and to inform the practice of conservation in fragmented landscapes. Our lab is currently involved in both theory-based and field-based projects, and the Postdoctoral Associate will work on at least one of these in addition to potentially developing independent, related projects. Our current theoretical work involves investigating the relationship between spatial scaling metrics, such as the species-area relationship, and point process models. We expect these to lead to new predictions of species turnover patterns as well as multivariate scaling metrics that will predict species diversity in patchy landscapes. Our field projects use autonomous acoustic recorders, placed throughout western Pennsylvania, to study the factors that control bird and bat distributions at landscape scales and to provide data to test our theoretical models. A major portion of this research involves developing algorithms and software to identify the species that are present near each recorder from many terabytes of recorded sound files. We are seeking applicants with experience in spatial ecology, macroecology, conservation biology, avian ecology, statistics, machine learning, ecoinformatics, and/or data science. Competitive applicants will have programming skills in Python, R, or a related language, and experience with ecological modeling and/or statistics. The salary for the position will be $47,476 per year (which goes a long way in Pittsburgh). The initial appointment will be for one year, with funding available for a second year pending a positive first year review. Postdoctoral Associates at Pitt also receive benefits including health insurance, access to libraries and recreational facilities on campus, free access to public transit, and paid vacation days. Interested applicants should send an email ([email protected]) that includes (1) a cover letter describing your interest in this position, prior research, and plans for future research, (2) your CV, (3) the names of three references, and (4) a writing sample. Review of applications will begin in early December and will continue until the position is filled. The start date for the position is flexible, and applicants may join the lab any time between January and June of 2018. Review of applications will begin in early December and will continue until the position is filled. Please see our lab website (http://kitzeslab.org) and the website of the Department of Biological Sciences (http://www.biology.pitt.edu/) for more information about the department, other faculty and students, the university, and the city of Pittsburgh. The Kitzes Lab at the University of Pittsburgh (http://kitzeslab.org) is seeking up to two Ph.D. students to join our lab in the Fall of 2018. Our lab studies species diversity and distributions in human-altered landscapes, primarily using methods drawn from spatial macroecology. Our goals are both to answer fundamental questions about how species organize themselves in space and to inform the practice of conservation in fragmented landscapes. Our lab is currently involved in both theory-based and field-based projects, and incoming Ph.D. students are invited to work on either of these or to develop their own projects along related themes. Our current theoretical work involves investigating the relationship between spatial scaling metrics, such as the species-area relationship, and point process models. We expect these to lead to new predictions of species turnover patterns as well as multivariate scaling metrics that will predict species diversity in patchy landscapes. Our field projects use autonomous acoustic recorders, placed throughout western Pennsylvania, to study the factors that control bird and bat distributions at landscape scales and to provide data to test our theoretical models. A major portion of this research involves developing algorithms and software to identify the species that are present near each recorder from many terabytes of recorded sound files. We are seeking applicants with interests in spatial ecology, macroecology, conservation biology, avian ecology, statistics, machine learning, ecoinformatics, and/or data science. Competitive applicants will also have prior experience, though not necessarily formal training, in programming (any language), ecological modeling, or other quantitative research methods. 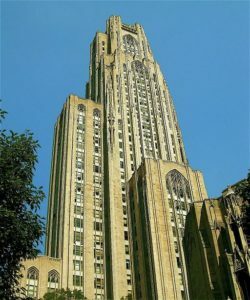 The department provides competitive financial support for graduate students that includes a stipend, full tuition remission, health insurance, and free access to public transportation (http://www.biology.pitt.edu/graduate/financial-support). Students admitted to the graduate program have typically been offered 5 years of guaranteed support, with at least one year free of teaching responsibilities. Depending on students’ interests and skills, up to an additional two years of research support may be available from our lab. Applications are due by January 3rd, but interested applicants should contact Dr. Kitzes during the fall term. Please send an email ([email protected]) that includes a few paragraphs describing the type of work that you are hoping to do for your dissertation and why you are interested in our lab in particular, as well as your CV. Kyle Walters is joining the lab as an undergraduate researcher for the fall term of 2017. Kyle is a mathematics major who will be investigating a maximum entropy (MaxEnt) approach to predicting population growth. Welcome Kyle! Justin will be at ESA 2017 in Portland this coming week, and will be speaking on Thursday, at 3:40 pm, Oregon Convention Center D138, on A spatially-explicit stochastic process model predicts scaling in species aggregation: Relating the quadrat count distribution, Taylor’s Law, and birth-death-immigration models. Yes, it’s a somewhat technical talk, but probably not as technical as it sounds. He’ll describe a new spatial reformulation of a classic stochastic population model that provides a simple explanation for a widely observed scaling pattern, Taylor’s Law. Justin will use this finding to argue for a second scaling law that can be used as the basis for projecting sampled species-area relationships across large spatial scales. If this sounds interesting, or even if it doesn’t, please feel free to stop by and say hello! In September 2017, the Kitzes Lab will be moving to the Department of Biological Sciences at the University of Pittsburgh, where Justin will be starting a position as an Assistant Professor. We’ll be broadly continuing our research in spatial macroecology and conservation going forward. We’re particularly excited to begin field work on bird and bat spatial distributions at the Pymatuning Laboratory of Ecology, located about two hours north of the university in Northwestern Pennsylvania. Stay tuned for announcements about upcoming openings in the lab. We’ll be looking for undergraduate students, graduate students, and a field technician to join the lab over the coming year. Postdocs interested in working with the lab should contact Justin to discuss funding opportunities. Our lab studies biodiversity loss and extinction in human-altered landscapes. To do this, we develop and apply macroecological theory in the lab and use acoustic recorders to study bird and bat distributions in the field.